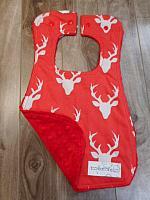 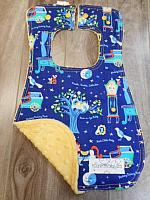 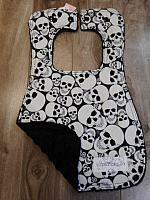 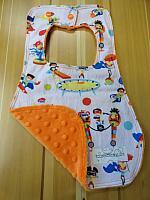 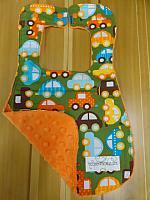 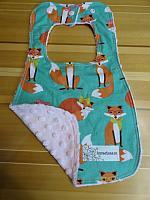 These bibs are made from designer cotton fabric and soft, absorbent minky. 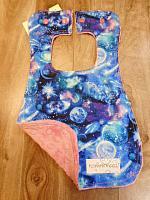 Double snap enclosure at the neck makes them super adjustable for babies and toddlers from 4 months to 2+ years. 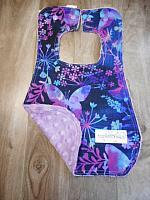 Throw them in the washer and dryer and they wash up beautifully. 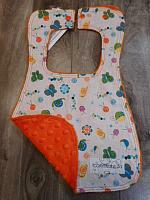 Note: Placement of print and/or snap colour may be different than shown. 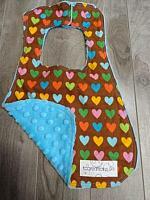 If you don't find what you want on this page, please send us a message through the Contact Us page.